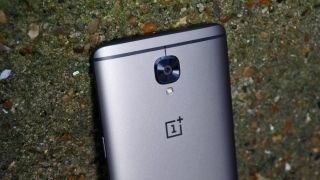 OnePlus is well known for creating flagship phones with great specs at low prices, but the latest rumors suggest the company may be upping the price for the OnePlus 5. Sources speaking to Android Authority said the company is looking to use “more costly components” for the next phone in the series. The source continued claiming OnePlus would be “looking at a significantly higher price point due to components and design” as well as saying it will cost as much as $650 (about £500, AU$880). That'd be a big price jump from the OnePlus 3T that cost $439 (£399, around AU$580) for the 64GB version. There's also a 128GB version that costs $479 (£439, around AU$630). OnePlus has confirmed the next phone in the series will be launching in "summer 2017", so we will know the price in the next few months. Other rumors for the OnePlus 5 include a Qualcomm Snapdragon 835 processor, 8GB of RAM, 128GB of storage and a 5.5-inch QHD display on the front. There aren't many flagship phones with specs like that you can get for under $440/£400/AU$600, so it makes sense the brand is going to up the price for the next version.